Bandages for Horses are available for various purposes, from warmth to protection or plainly practical reasons. Here is a concise explanation about horse bandages. Exercise bandages are stretchy and used when exercising to provide support and help protect legs from bumps and knocks. Fit over bandage pads from just below the knee or hock to slightly above the fetlock using even pressure with some tension. Exercise bandages should not be used for extended periods as they are fitted more tightly than stable bandages.Secure on the outside of the leg, tucking in any ties, and bind with bandage tape to ensure they do not become loose. Stable bandages are made from non stretchy fabric such as fleece. 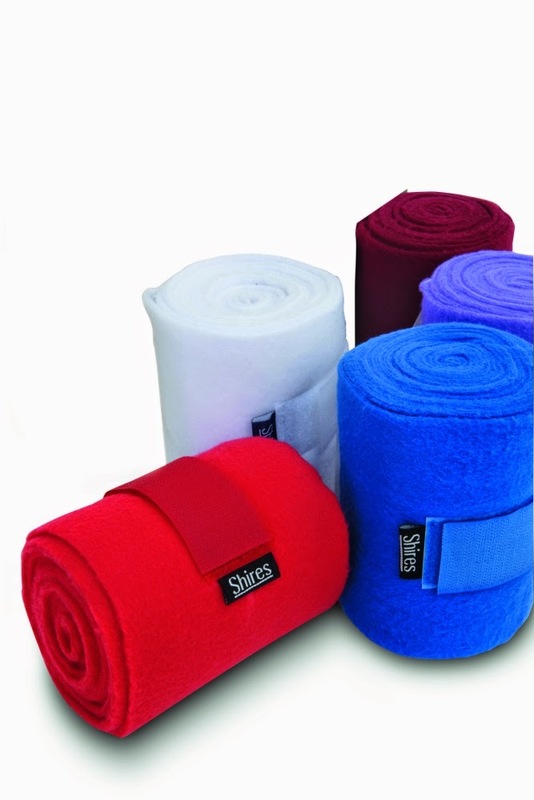 Useful for promoting warmth, encouraging circulation and support after strenuous exercise or injury. They can be used on their own or applied over dressings or bandage pads for extra cushioning. Fit with light tension to ensure they do not slip, from just below the knee or hock to the coronet joint. Cohesive bandages are stretchy and breathable and do not require extra bindings as they stick to themselves, but not to the leg or hair. They provide lightweight compression and are useful for wounds management or poulticing. Keep in your first aid box. Tail bandages are used to protect the dock or for keeping the tail tidy. Great for showing, travelling or helping the tail hair to lay correctly after washing.